Hi how to get here please. Thanks. Can you please send me an information about your room accommodations? My friends and I are planning to visit your resort. Thank You! please send me room rates for this month and pictures of rooms/ cottagaes..thanks! how do we get there?were from bacolod,,do you have any contact num. i would like to know how can we get there from negros aside from going there via iloilo. can u give the details of ur amenities especially the private family cottage,how about the food,entrance,the fare and travel details f we pass through valladolid.tnx. can you send me updated room rates and more pics? how about food? how much? thanks! Mabuhay, tried to contact you via phone unsccessfuly. would like to know about one week fee staying there for one or two in January...also do you accept major cards as VISA. Thank you. good pm! do yuo have available package for 2 on december...can you send me package inclusions and what other activites you have? Hi! I would llike to ask if the rate is still applicable for Sept 17-18 stay for a group of 10 pax? Is the room aircon already? Please let me how to ge there from Iloilo Airport. Thanks. do you have any wifi na ? 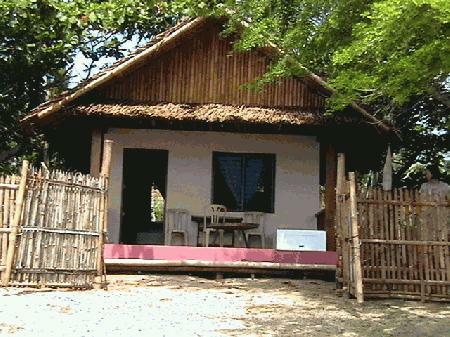 ang private family cottage ba aircon na? are there any entrance fee? may we know the rates of rooms that can accomodate 10 persons? may we have the room rates....?